Today is the third day of Washington State’s 2019 legislative session and the state relations team is fully in gear. 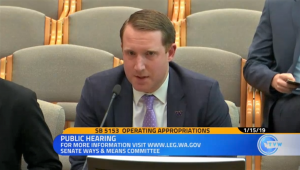 Yesterday, Joe Dacca, Director of State Relations, testified before the Senate Ways & Means Committee on the Governor’s proposed operating budget. 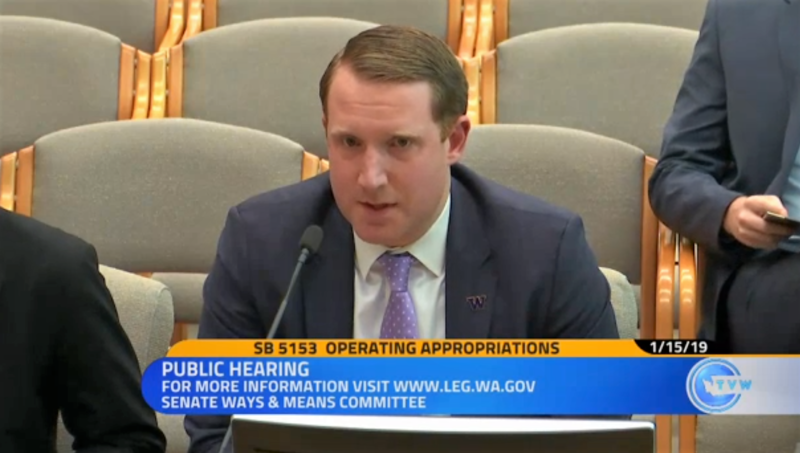 He focused his testimony on the importance of investing in the UW and our students. Joe also plans to testify before the House Appropriations Committee this week. This legislative session is scheduled to last 105 days (until Apr. 28) to decide the 2019-21 state budget. Some of the big legislative topics will include behavioral health, affordable housing, homelessness, climate and taxes. Throughout session, the Office of State Relations will work with our campus partners to advance the UW’s legislative priorities. Stay tuned for updates from the state relations team. Updates can also be found on Twitter and Facebook.